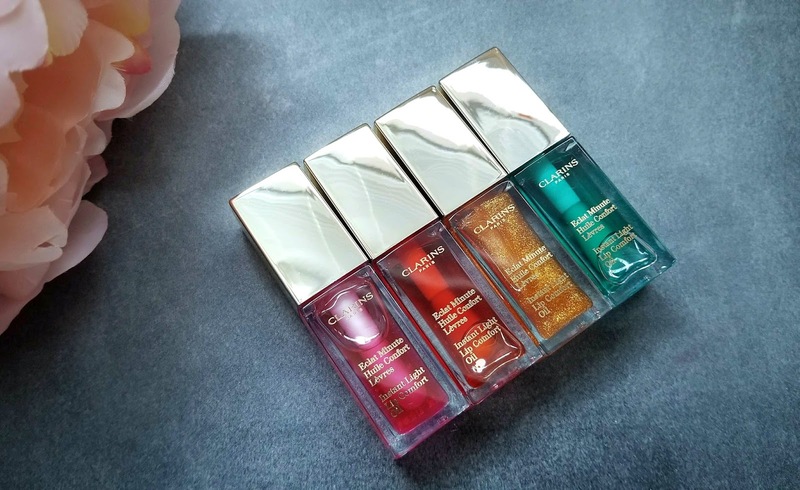 I have been a huge fan of Clarins lip products for a while - first starting off with their Instant Light Lip Balm Perfector and then with the Instant Light Natural Lip Perfector. 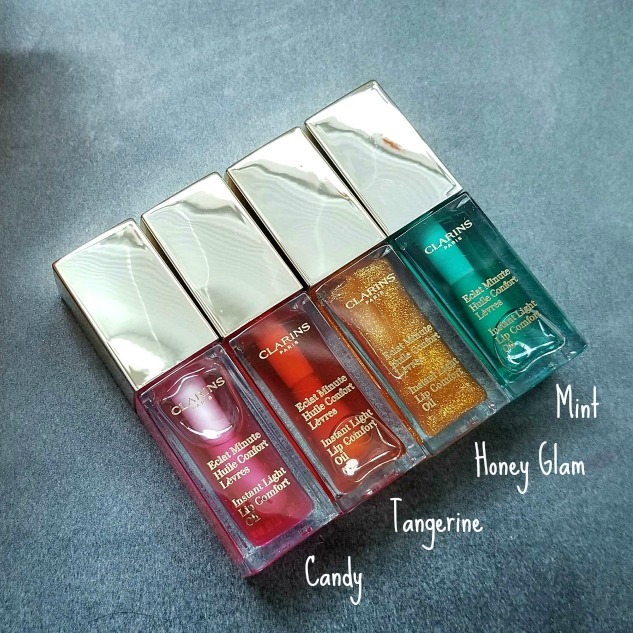 Clarins recently came out with 4 new shades of their Instant Light Lip Comfort Oil in Mint, Tangerine, Honey Glam and Candy. They now have a total of 7 scents and retail for $25 each and is a true glossy oil finish. They are not sticky on the lips but compared to the Natural Lip Perfectors which are weightless, you will feel this a bit more on the lips. These smell delicious and really do smell like what they are named after. 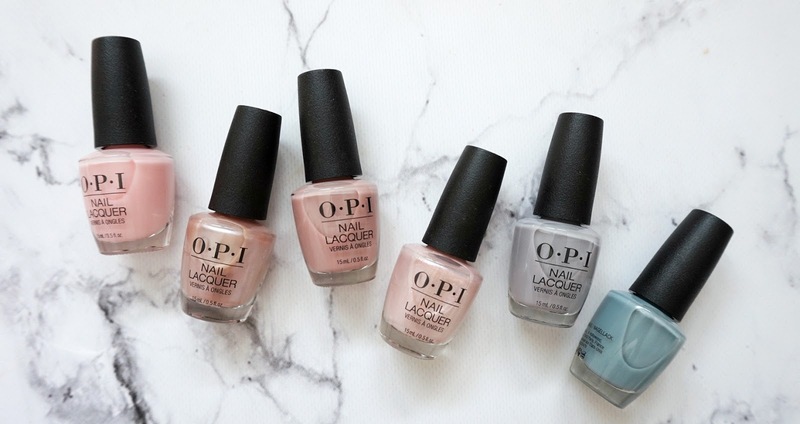 These products are subtle in color, so though the mint is a green, when applied it only delivers a sheer wash of color and isn't opaque. 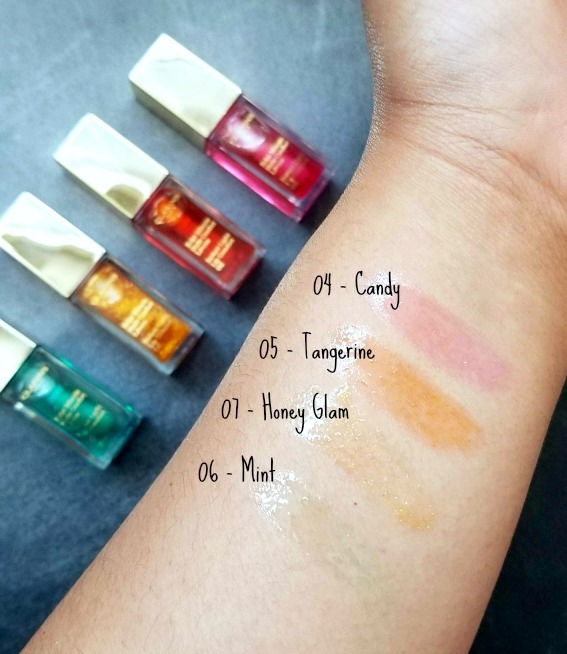 My favorite has to be Honey Glam - I love anything honey, and the addition of micro glitters makes for a more unique experience. 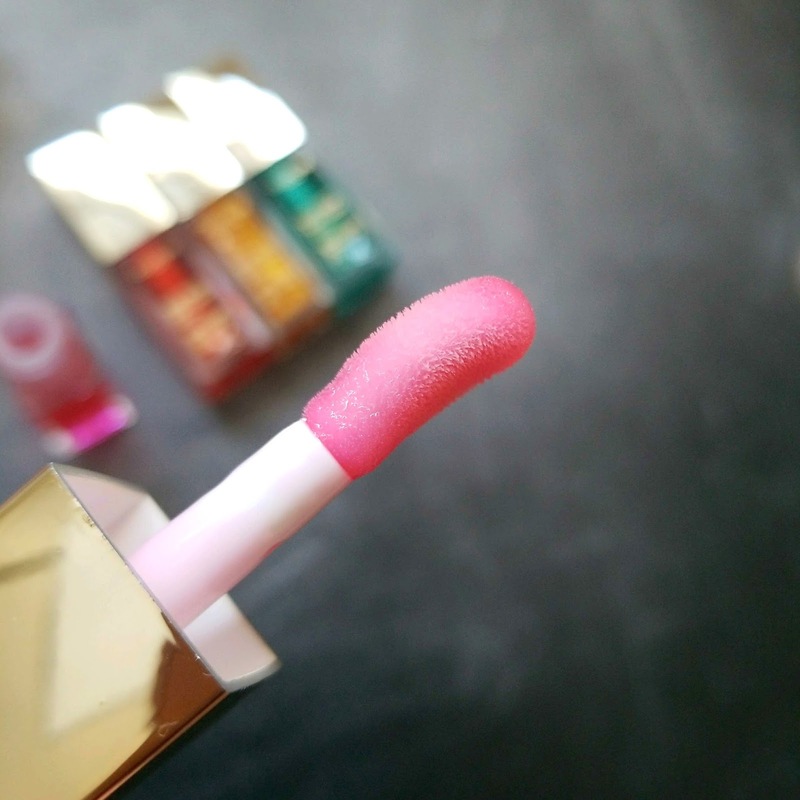 It adds a bit of sparkle in addition to the gloss and gives it a more plump and voluminous effect. You can see in the picture below that I just quickly applied this to my lips, and went about running my errands the past weekend. This product really does moisturize the lips while adding a cushion effect - the applicator is unlike anything else in the market, it is wider and dipped in the middle to allow for a better application while housing the product. 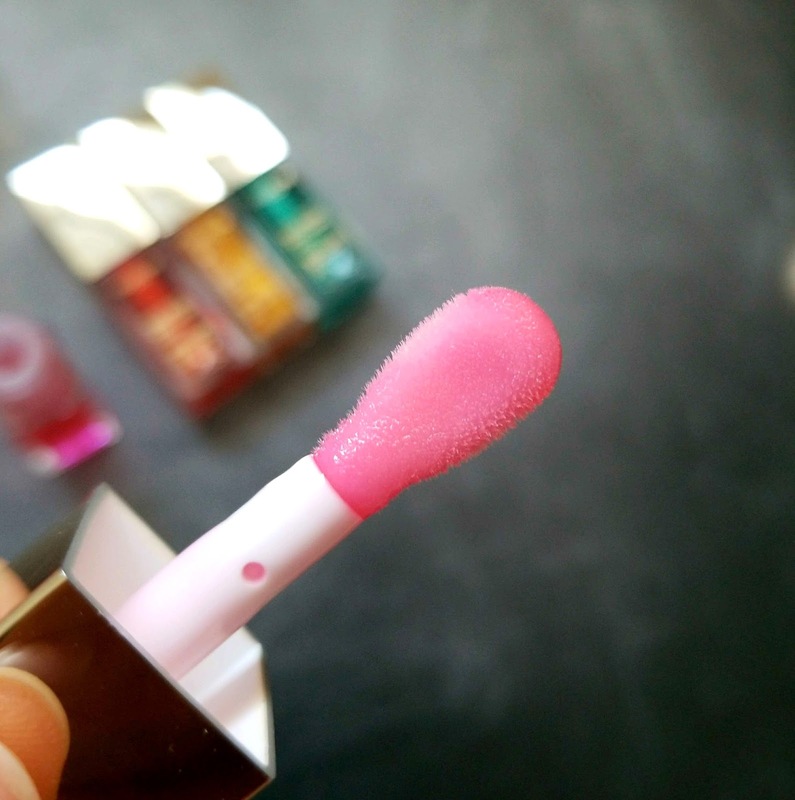 Have you tried any of these Lip Comfort Oils before? I highly suggest that you try one! Honey Glam perhaps if you want something unique! 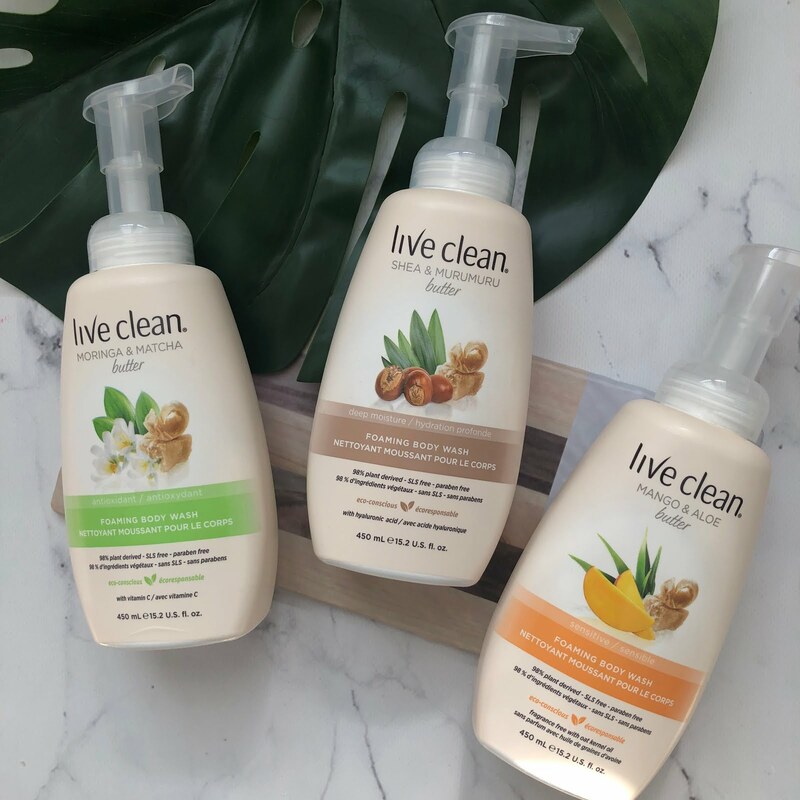 My Summer Essentials to combat oily skin!